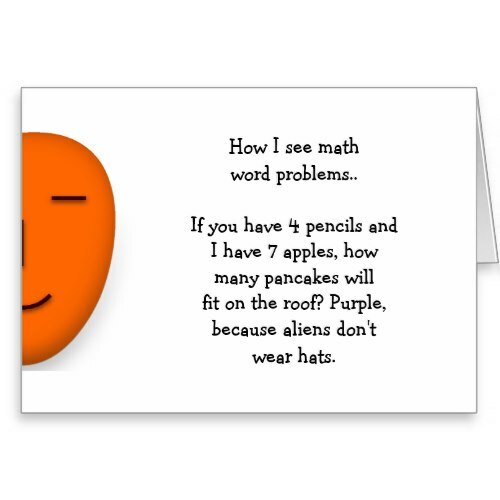 Funny, hilarious quote on what most of us have felt, one time or the other, picking our brains over a math word problem. Featured here on a custom, personalized, fun, send a smile card. Makes a great, fun mail to kids, grandkids, math geeks, nerds, school students, math scholars, teachers, friends & family.